If you were a nine-year-old girl at any point during the last 30 years, you are almost certainly familiar with American Girl. In 1986 a line of 18-inch (46 cm) dolls was released by Pleasant Company, founded by Pleasant Rowland. Rowland, who was working for an educational publishing company at that time, took a trip to Colonial Williamsburg, a living-history museum in Virginia. History and education were her passions, and Pleasant had an idea. Rowland sent a postcard detailing her plan to her friend Valerie Tripp, a children's author. "I've been down in Williamsburg this week and had an idea. What do you think of it? A series of books about nine-year-old girls growing up at different times in American history." Three periods of American history were chosen with three characters- Molly McIntire, growing up during World War II, Samantha Parkington from Victorian age and Kirsten, who immigrated to US in the middle of the 19th century. 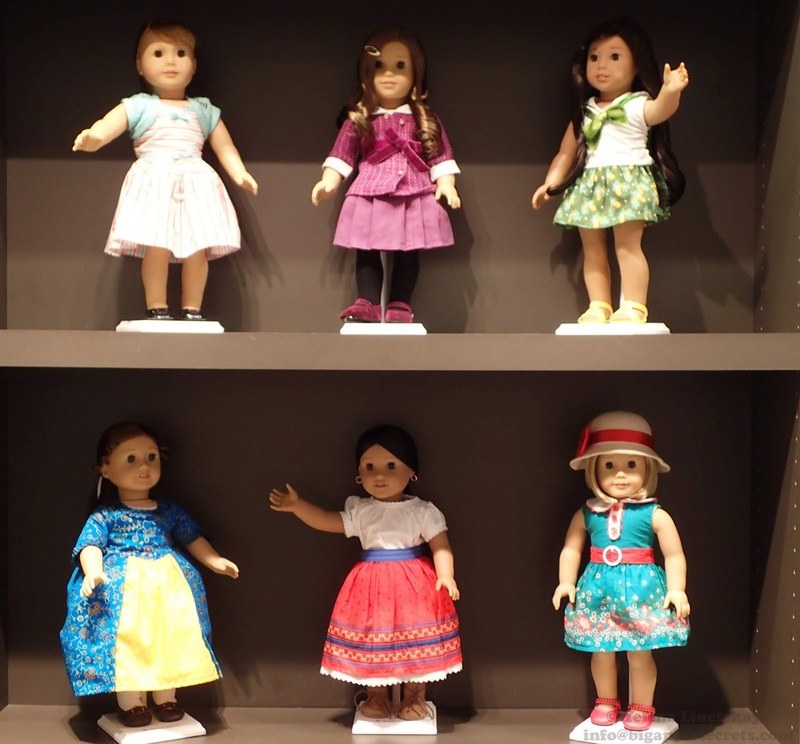 These three first dolls were made by the company Götz in West Germany. These three dolls, Samantha, Kirsten and Molly had a number of historically accurate outfits and accessory sets which tied into and were depicted in the various stories. For example, Samantha's Winter Amusements set included a pair of ice skates. The doll also can have a 3-Wheeled Bicycle, stereoscope, winter hat and muff. 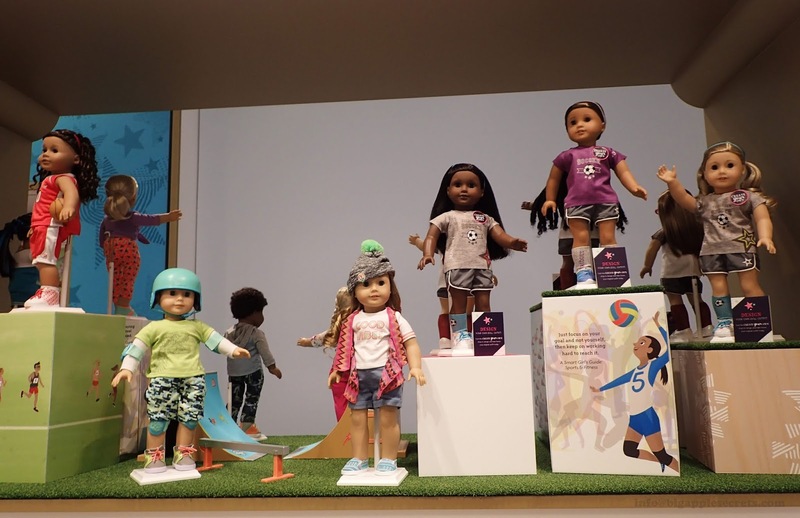 The goal was to make history personal and also to fill a gap in the market: there were baby dolls and Barbie dolls, but no dolls designed to be the age of girls who were actually playing with them. 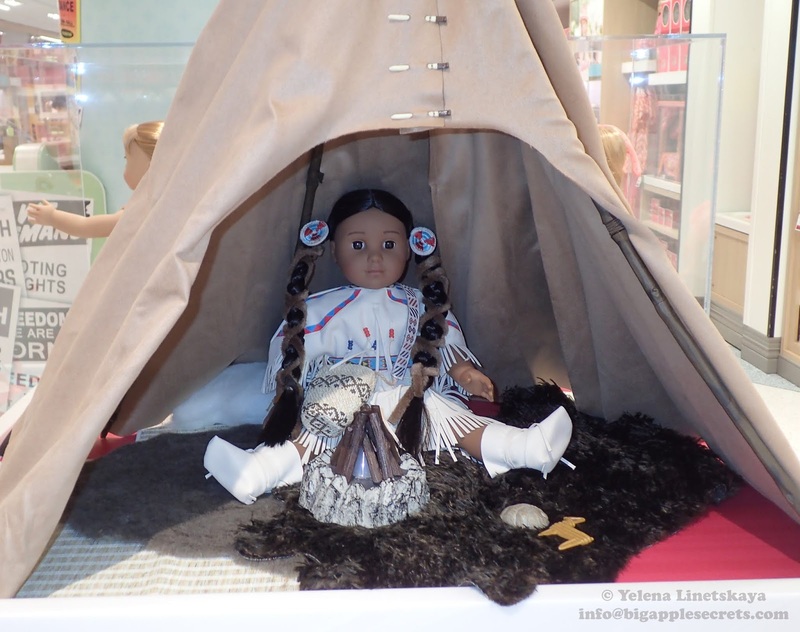 The first store, American Girl Place, debuted in Chicago in 1998. 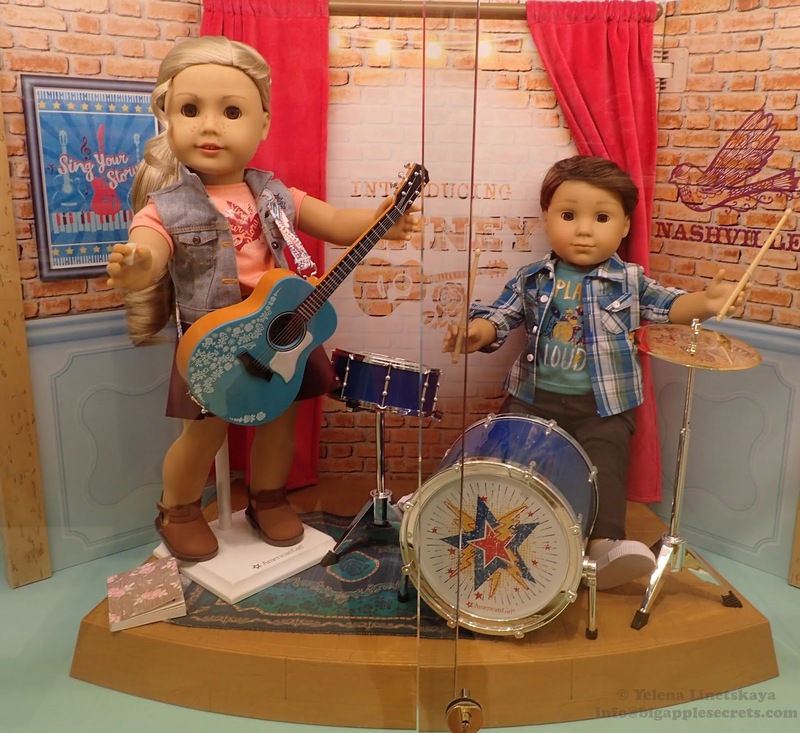 "From its inception, it was a doll company, a toy company, a clothing company, a publishing company, and a direct mail company all at once," Rowland told the 25th anniversary crowd. "But in truth, from its beginning vision, it was a company that was bigger than the sum of all those parts. It was a girl company, and anything that was good for girls, was ours to give them". Less than a year ago a new American Girl Place opened at 75 Rockefeller Plaza. 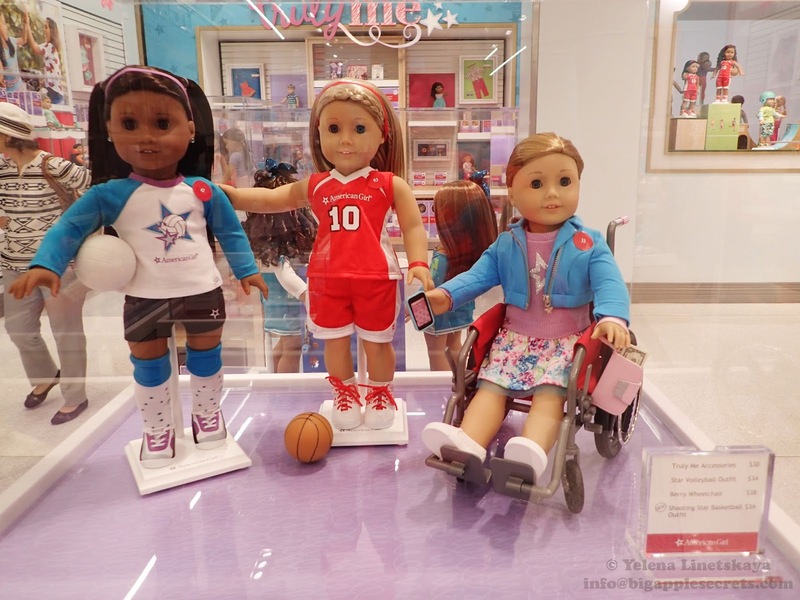 The 40,000-square-foot store is filled with popular products, including a large selection of American Girl dolls, accessories and hundreds of fiction and advice books. 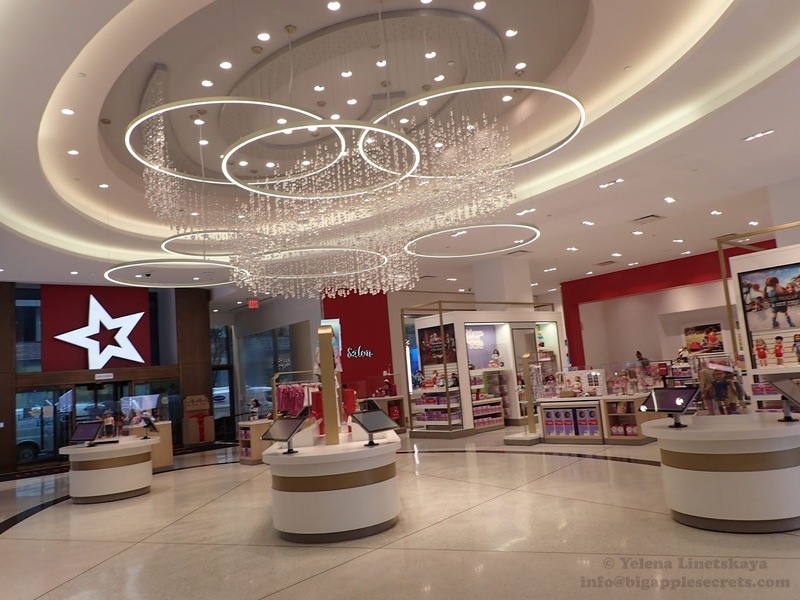 There are two levels on this store: the first floor and the lower level (accessible by escalator or elevator). The first floor is the place to be with many of the dolls scattered about, including a huge display for the doll of the 2018 year, Luciana Vega, an 11-year-old "aspiring astronaut who dreams of being the first person to go to Mars " . There is also a new salon which offers services like ear piercing, nails and hair-dos not just for dolls but now also for girls. Your girl and her doll can even get their ears pierced and manicures together. Downstairs there is a huge assortment of books and DVDs and historical dolls. The best part of the bottom level is the brand new restaurant cafe two private party rooms both with flat screen giant TVs. Now let us take a look at the prices. Be prepared to spend $$! A basic American girl doll starts at $115, the hair and nails are around $75, kid's meals were $20 and only for kids under 10, $3.75 for a soda and no drink refills. 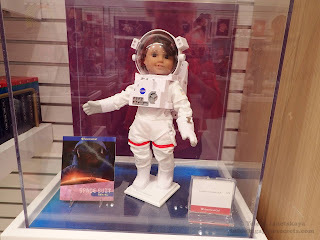 Flight Suit for 18-inch Luciana, the doll of the year, is $28.00 and here Space Suit is $75.00! This stuff is quite interesting and massive to read. I will share it with my mates too after getting back from my https://www.goldenbustours.com/san-francisco-tours/.